Mastermind Groups – Trend Or Fad? Mastermind groups are more popular now than they have been in the past. This may be a trend or fad that is occurring right now and would die down in time. The increased popularity could also be because there are more people setting up businesses and side hustles. This is especially true in niches where there are much lower barrier to entry. In the initial phase of setting up a business, people are either creating or joining mastermind groups. Groups could be small or large and may or may not have a facilitator. For those who work in the online space, masterminds are ideal as it helps eliminate the loneliness felt when working on your own all day, everyday. By being part of a group, you’ll be able to get a different perspective on what you are doing and new ideas on ways to proceed to accomplish your goals. Which can lead to you thinking bigger. 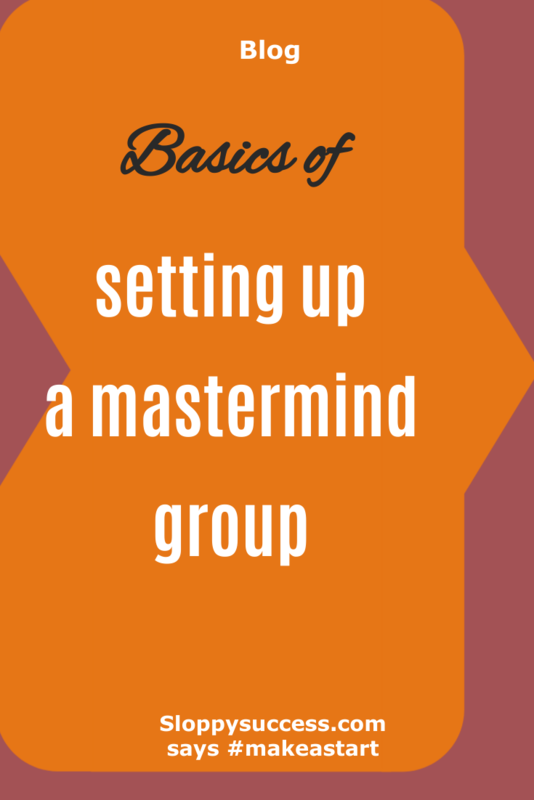 A mastermind group is a group of people with different skills that get together to discuss successes, get suggestions on how to overcome struggles and get more clarity on what direction to take next or execute a plan. 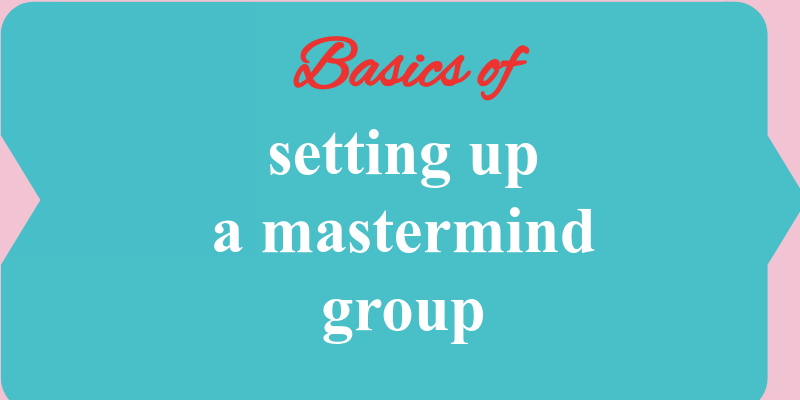 Some mastermind groups can have 2 people in it and others can have up to 100 people if not more. Larger mastermind groups are usually organised events with multiple facilitators, guest speakers and breakout sessions where you work in smaller groups. This type of mastermind group can also be a weekend event. Anyone can start a mastermind group. If it’s the first time you’ve started a mastermind group, it’s best to start with one person and then trial other people after that. Bear in mind all members would need to be in agreement before new people can join the group and you should have an idea of the maximum number of people you would want in your group. In selecting people, ensure those you choose have a similar drive as you and are working at the same pace as you, as the overall goal is to have progress made within your business. The number of people in a group would be determined by how long each meetup is going to be and how much time each person is going to have to speak. The number of people in the group along with how long each meet up is to last will determine the length of each meeting. It may not look like time spent on each person is enough but sticking to these timings is very important for the effectiveness of the group. If you find you are always running over, then consider putting an agreement in place that would penalise whoever runs over time. Along with this, frequency of meetings need to be agreed upfront. Too often and there isn’t enough time in between sessions to complete and implement tasks and meeting rarely runs the risk of momentum being lost. A happy medium is to start by having meetings monthly, with mid month updates on progress. Location of meet up needs to be somewhere with no distractions. Meeting rooms are ideal as they tend to have less distractions. If meet ups are to be held in your house, then select a place and time when distractions would be at a minimum. Absence - how many times can a member be absent and what is the consequence of this, e.g. being asked to leave the group? Physical or Virtual Meet ups - do all meetings have to be face to face or can some be virtual? Member Location - do all members need to be local, can there be international members? Accountability - are there any penalties for not completing tasks you set yourself? Touchpoints - who writes up notes and sends to members? Is there a need to provide updates in between meetings? These rules set the framework everyone needs to abide by so each meeting productive. Mastermind groups will always be around. The name may change, their purpose would not. Having a facilitator is a good idea, as it will relieve pressure from members having to fill in as the facilitator. Overall, a mastermind group is another way to gain momentum, remove limiting beliefs you may have, streamline your business, celebrate successes and gain clarity.